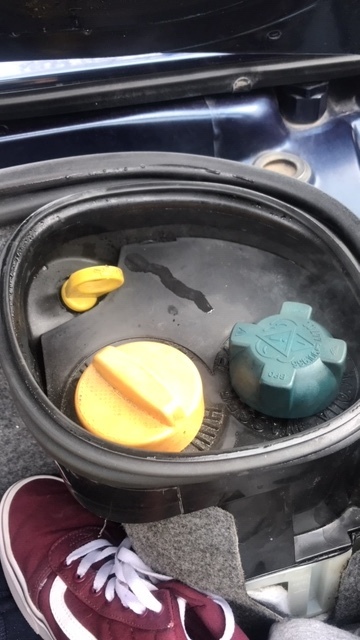 I have a 2000 Boxster and just noticed that when the trunk is closed and I am driving there is a lost of condensation accumulating under the rear trunk. When I stop and open trunk there is smoke coming from the same area. That doesn't appear to be a lot of condensation. And... that isn't smoke. That's a shoe. And, it isn't OEM.